Gisela Pulido kiteboards one of the world's natural wonders, the 12 apostles. Located in the Port Campbell National Park, the Twelve Apostles are a group of eight limestone stacks that jut out of the water up to 150 feet. The area is known for having steady winds and rough seas which provide quite the challenge for Gisela as she boards between the stacks and the cliffs that line the beach. The last time the aircraft carrier once known as the Varyag generated this much concern, it was for fear it might sink. The ship was one of the Soviet Union's last naval commissions, but construction at the Black Sea shipyard of Mykolaiv was abandoned in 1992 after the U.S.S.R.'s breakup. The Varyag languished as an unfinished hulk until 1998, when a Chinese company, based in Macau and with ties to the Chinese navy, bought it from Ukraine, ostensibly to take the ship to the gambling enclave as a floating casino. Turkish officials worried that the 300-m vessel — a rusting shell without weaponry, engines or navigation equipment — would sink while crossing the Bosphorus Strait, causing an environmental headache and a hazard to navigation. So they delayed its passage for three years, only agreeing in 2001 to halt traffic on the Bosphorus to allow the symbol of Soviet decline to be tugged past the shoreside forts and luxury homes of Istanbul on its five-month journey to the Pacific. 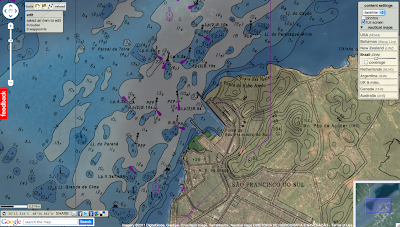 Macau's harbor was never deep enough for the Varyag. The orphaned warship of a former superpower, with its distinct ski-jump-like bow for launching planes, wound up instead in the northeastern Chinese port city of Dalian. There, it has slowly been transformed into the first aircraft carrier of a future superpower. Now the world has a new set of concerns about the former Varyag. On Aug. 10 the newly refurbished carrier set sail from Dalian for its first sea trial. Its casino cover story long discarded, the ship will enter a wager with decidedly higher stakes: the projection of China's military power on the high seas. The Varyag's launch comes at a fraught time. China's armed forces are modernizing — military spending has grown by an annual average of 15% since 2000 — and after a decadelong charm offensive in East and Southeast Asia, Beijing has begun taking a more aggressive stand on territorial disputes. Several factors are driving this tougher approach, including the possibility that disputed waters may have valuable energy reserves, a desire to challenge the regional influence of the U.S., the ever present influence of nationalism and a fear of looking weak before next year's leadership transition. "The Chinese attitude appears to have become substantially more assertive in character," says Clive Schofield, director of research at the University of Wollongong's Australian National Centre for Ocean Resources and Security. "You see this across the board." China's neighbors, particularly Japan, Vietnam and the Philippines, have responded with tough talk and posturing of their own. Last year China and Japan sparred over islands in the East China Sea that Japan administers and both nations claim, known as the Diaoyu to the Chinese and the Senkaku to the Japanese. When Japan detained a Chinese trawler captain near the islands, China cried foul. Two weeks later Japan released the fisherman, who returned to a hero's welcome in China. This summer, Chinese warships passed through international waters near Okinawa, which has unsettled Tokyo. Japan's latest white paper on national defense said Chinese military modernization, increased activities in Asian waters and lack of transparency "are becoming a cause for concern in the region and within the international community." The more contentious cockpit is the South China Sea. Its 3 million sq km are dotted by tiny islands, and many of its waters are thought to hold rich oil and natural-gas deposits. Tensions have been rising between China, which claims almost all of the South China Sea, and some of the other Asian states that assert sovereignty over parts of it. The Philippines, which says that Chinese ships have harassed its survey ships and fishing boats a half-dozen times since the spring, announced it would begin to refer to the area as the West Philippine Sea and sent its navy's flagship, the World War II — era frigate Rajah Humabon, to patrol it. Vietnam accuses Chinese vessels of deliberately cutting, twice this summer, the cables of survey ships belonging to PetroVietnam. Hanoi says it is considering a possible reinstatement of the military draft and carried out live-fire drills in June. China responded with three days of naval exercises of its own. The disputes over Asia's waters have drawn in the U.S. Last year, Secretary of State Hillary Clinton declared that the U.S. had a "national interest" in freedom of navigation in the South China Sea and offered Washington's assistance as a mediator. China responded angrily that the U.S. was seeking to "internationalize" an issue that should be resolved among neighbors. Some observers figured that Beijing would take a less antagonistic approach in 2011, having seen how regional disputes invited greater U.S. involvement. "That hasn't happened," Ian Storey, a fellow at the Institute of Southeast Asian Studies in Singapore said in June. "In fact, tensions have risen in the past two or three months, probably to a higher level than they've been at since the end of the Cold War." On July 20, China and ASEAN announced nonbinding guidelines on how a settlement in the South China Sea might be pursued, but the differences have hardly narrowed. Cui Tiankai, a Chinese Vice Foreign Minister, warned that the U.S. was at risk of becoming entangled in a regional conflict if it did not work to restrain other states in the region. "I believe that individual countries are actually playing with fire," he told reporters in late June. "I hope that fire will not be drawn to the United States." In mid-July, General Chen Bingde, the Chief of the General Staff of the People's Liberation Army (PLA), publicly complained to his U.S. counterpart, Admiral Mike Mullen, about U.S. military spending, maritime surveillance operations near China's borders and joint exercises with Vietnam and the Philippines that he called "ill timed." Mullen, the Chairman of the Joint Chiefs of Staff, said after a four-day visit to China that he was not convinced that Beijing's military advancements were entirely defensive in nature, and he fretted that the strife over the South China Sea "could result in some kind of escalation, some kind of miscalculation — an incident, a misunderstanding that would greatly heighten the stakes." NPR : China's growing military muscle: a looming threat? A team of leading U.S. archaeologists have discovered the wreckage of a ship they believe to be part of Captain Henry Morgan's lost fleet at the mouth of the Chagres River in Panama. Near the Lajas Reef, where Morgan lost five ships in 1671, including his flagship "Satisfaction," the team uncovered roughly 52x22 feet of the starboard side of a wooden ship's hull and a series of unopened cargo boxes and chests encrusted in coral. The artifacts were buried deep beneath a thick layer of sand and mud. The underwater research team, comprised of leading archaeologists and divers from Texas State University, including volunteers from the National Park Service's Submerged Resources Center and NOAA/UNC-Wilmington's Aquarius Reef Base, located the shipwreck with the help of a magnetometer survey, an underwater archaeological technique used to locate anomalies in the magnetic field below the surface of the water. A team of leading U.S. archaeologists study the wreckage of a ship they believe to be part of Captain Henry Morgan’s lost fleet. The dive team discovered approximately 52x22 feet of the starboard side of a 17th century wooden ship hull and a series of unopened cargo boxes and chests encrusted in coral. Due to the shallow waters and close proximity to the coast, treasure hunters have stolen many of the artifacts of monetary value, like gold coins, from the surrounding areas. In an attempt to help save the historic site from looting, the dive team is working closely with the Panamanian government to study and carefully preserve artifacts, which are an integral part of Panama's history and heritage. "For us, the real treasure is the shipwrecks themselves, which can give us the ability to accurately tell the story of a legendary historical figure like Captain Henry Morgan," said Frederick "Fritz" H. Hanselmann, underwater archaeologist and Research Faculty with the River Systems Institute and the Center for Archaeological Studies at Texas State University. "Discoveries of this nature allow us to study these artifacts and teach others what life was like for these famous privateers more than three hundred years ago." In 1671, in an effort to capture Panama City and loosen the stronghold of Spain in the Caribbean, Morgan set out to take the Castillo de San Lorenzo, a Spanish fort on the cliff overlooking the entrance to the Chagres River, the only water passageway between the Caribbean and the capital city. Although his men ultimately prevailed, Morgan lost five ships to the rough seas and shallow reef surrounding the fort. In September 2010, the team recovered six iron cannons from a nearby site also believed to be from one of the notorious Welsh privateer's ships. Additional funding was needed to explore the surrounding sites in search of the lost ships. It was at this time that the Captain Morgan rum brand, which took its inspiration from the legendary privateer, provided the dive team with a grant enabling them to continue their research. "Captain Henry Morgan was a natural-born leader with a sense of adventure and an industrious spirit that the brand embraces today," said Tom Herbst, Brand Director, Captain Morgan USA. "When the opportunity arose for us to help make this discovery mission possible, it was a natural fit for us to get involved. The artifacts uncovered during this mission will help bring Henry Morgan and his adventures to life in a way never thought possible." Artifacts excavated by the dive team in 2010, including the six cannons, as well as any future relics will remain the property of the Panamanian government and will be preserved and displayed by the Patronato Panama Viejo. As always, Captain Morgan reminds adult consumers that when reliving his legacy or searching for his lost bounty on the ocean floor: Raise your glass – always in moderation! "Sea of Japan" "Sea of Korea" or "East Sea"
The U.S. maritime boundary agency's reported decision to go with the "Sea of Japan" name for the waters between South Korea and Japan has made Seoul unhappy. South Korea, which uses the name "East Sea" for the body of the water between the Korean Peninsula and Japan, lodged an informal protest against the U.S. agency's action, Yonhap News Agency reported Monday, quoting a diplomatic source. 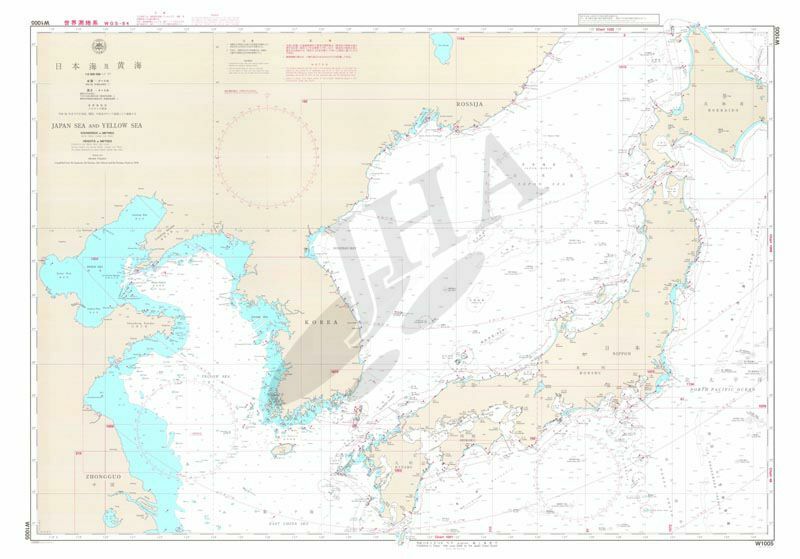 The name has been an issue between South Korea and Japan for decades, and the protest is over the U.S. agency's reported notification recently to the International Hydrographic Organization, favoring the "Sea of Japan" name, Yonhap said. Seoul's claim is that the name "Sea of Japan" was used during Japan's 1910-45 colonial rule of the Korean Peninsula, a bitter historical chapter for the Koreans. Since 1992 when the East Sea name was chosen, South Korea has been urging the global community to simultaneously use both names, the report said. The sources told Yonhap the U.S. government, noting Seoul's displeasure, has said the name issue was not Washington's official stance. South Korea and Japan also are involved in a dispute over Japan's claim to two islets in the sea. Last week, four Japanese lawmakers from the opposition party were not allowed by the South Korean immigration to travel to an island near the islets. KHOA : Korean Hydrographic and Oceanographic Agency : FAQ on "East Sea"
Japan Hydrographic Service : Japanese basic position on the naming of the "Japan Sea"
Nearly 50 square miles of ice broke off the Sulzberger Ice Shelf on the coast of Antarctica, resulting from waves generated by the Tohoku earthquake and tsunami that struck Japan in March 2011. Icebergs have been reported to calve following earthquakes before, including after the magnitude 6.3 earthquake that struck Christchurch, New Zealand, on Feb 22. But the new finding marks the first direct observation of such a connection between tsunamis and iceberg calving. After the Japan tsunami was triggered in the Pacific Ocean, Kelly Brunt, a cryosphere specialist at Goddard Space Flight Center in Greenbelt, Md., and colleagues immediately looked south — really far south. Using multiple satellite images, Brunt, Emile Okal of Northwestern University and Douglas MacAyeal of the University of Chicago were able to observe new icebergs floating off to sea shortly after the sea swell of the tsunami reached Antarctica. "In the past, we've had calving events where we've looked for the source. It's a reverse scenario — we see a calving and we go looking for a source," Brunt said. "We knew right away this was one of the biggest events in recent history — we knew there would be enough swell. And this time we had a source." Before (left) and after (right) photos of the Sulzberger Ice Shelf illustrate the calving event associated with the Japan earthquake and resulting tsunami that occurred on March 11, 2011. The icebergs have just begun to separate in the left image. To sum up the dynamics of the event: An earthquake off the coast of Japan caused massive waves to explode out from its epicenter. Swells of water swarmed toward an ice shelf in Antarctica, 8,000 miles (13,600 kilometers) away, and about 18 hours after the earthquake occurred, those waves broke off several chunks of ice that together equaled about two times the surface area of Manhattan. According to historical records, this particular piece of ice hadn't budged in at least 46 years before the tsunami came along. In what could be one of the more lasting observations from this whole event, the bay in front of the Sulzberger shelf was largely lacking sea ice at the time of the tsunami. Sea ice is thought to help dampen swells that might cause this kind of calving. At the time of the Sumatra tsunami in 2004, the potentially vulnerable Antarctic fronts were buffered by a lot of sea ice, Brunt said, and scientists observed no calving events that they could tie to that tsunami. "There are theories that sea ice can protect from calving. There was no sea ice in this case," Brunt said. "It's a big chunk of ice that calved because of an earthquake 13,000 kilometers away. I think it's pretty cool." The study was published yesterday (Aug 8) in the online edition of the Journal of Glaciology. THE yacht-club crowd may turn out to cheer at regattas, but sailboat racing hasn’t been a big hit with mainstream television audiences — perhaps because they have trouble following what’s happening on the waves. Experts in the sport may appreciate a helmsman’s split-second tactical decisions or a crew’s athleticism, yet the drama often goes over the heads of landlubbers who don’t know how points are scored, or even who is ahead. Now technology may change that. Starting in August, a two-year series of regattas, culminating in the 34th America’s Cup in 2013 at San Francisco, will have a feature intended to demystify the sport for television and Web audiences. 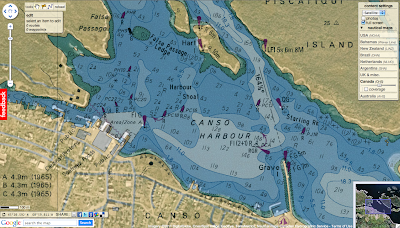 Live footage will be superimposed with ingenious graphics — including lines and pointers that show who is ahead or behind in the welter of foam and hulls, and tags that identify yachts as they race to coveted positions. Televised yachting has long used computer graphics to represent boats, waves and the leader in a race. But to show them, broadcasters have had to cut away from the action. The new system will note with virtual markers the details of hard-to-see moments as they happen — when, for example, a boat strays from course boundaries, or when two yachts jockey for position near a crucial turn. The technology is part of an ambitious, expensive effort by the America’s Cup Event Authority, the entity formed to handle all commercial aspects of the America’s Cup competition. The event authority has been backed by the billionaire Lawrence J. Ellison, the chief executive of Oracle and owner of Oracle Racing, the team that won the cup in February 2010. The cost of the America’s Cup races will include $270 million for the regattas at San Francisco and the final cup events there, said Stephanie Martin, spokeswoman for the event authority. “We plan to raise the money through sponsorships and through broadcasters,” she said. The graphics system is still being tested, and TV networks have yet to announce interest in the events. But the graphics may attract a new generation of viewers, said Claude Ruibal, the head of sports content at YouTube. “The races are hard to view right now,” Mr. Ruibal said. New technology can help television viewers sort out the intricacies of sailboat racing. 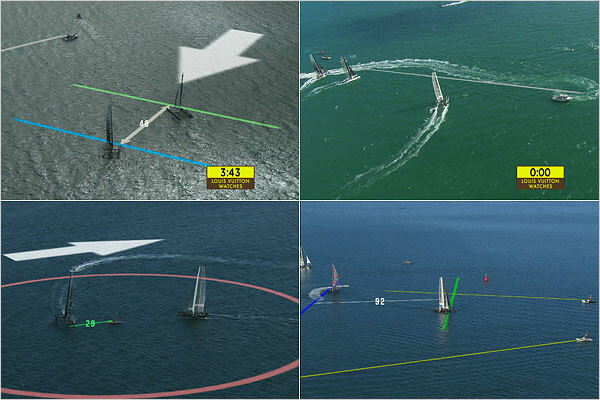 Graphics superimposed on aerial shots can show the starting line, top right, or the seconds or distance in meters between boats. The big arrows show wind direction. To get the video footage and then insert explanatory arrows, lines or tags, a television helicopter will fly high above the races to provide wide aerial views, said Gary Lovejoy, media director for the event authority. Software will figure out the camera’s exact position on the helicopter in relation to the yachts, all of which have GPS accuracy to about an inch, and then superimpose the graphics. The graphics system is the brainchild of Stan Honey, technology director for the 34th America’s Cup. Mr. Honey, an electrical engineer and an avid sailor, is no stranger to the elucidation of hard-to-see moments in sports. He is one of the creators of a popular television graphics effect: superimposed lines that serve as virtual first-down yard markers for football fans. He is a co-founder of Sportvision, a company that provides this service. Ken Milnes, who once worked with Mr. Honey at Sportvision, is developing graphics for the cup races. Mr. Milnes also helped create the graphics system that identifies Nascar racers as they surge through the backstretch. A technical staff of at least 100 will be on hand to produce each regatta, Mr. Lovejoy said. And each yacht will have at least four onboard cameras, operated by onshore technicians. Crew members will wear lapel microphones, and special chase boats will provide tracking shots to add to the store of replays and slow-motion footage that will reveal the yachting mysteries of laylines, tacks and marks. The design makes the catamarans extremely lightweight, but still able to carry a large sail area. Their potential acceleration is far greater than that of a traditional keel boat, he said. But new technology alone may not draw large TV crowds in the United States. In the past, the America’s Cup races pitted one country against another: the skipper and crew had to come from a single country, as well as the yacht club they represented. Since 2003, the skipper and crew can be international. Only the yacht club represents a country. That dilution in national identity may give pause to viewers who like to cheer for a home team. “They tend to root for Americans,” Mr. Rousmaniere said of TV sports audiences. We're the peak of the 11-year solar cycle, so double-check your GPS, and watch where you're going. On Thursday, the sun unleashed a massive solar flare (see video of the flare and how its effects have been moving toward Earth). 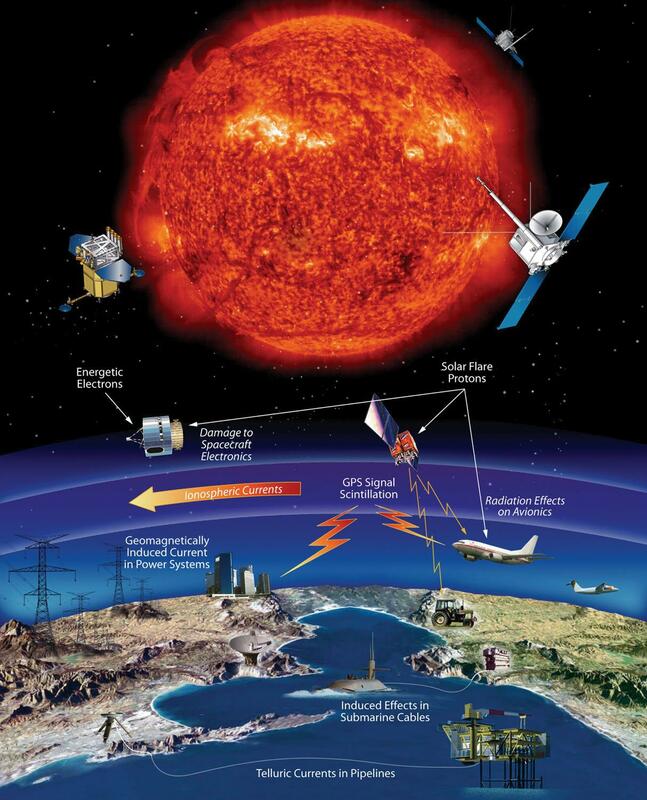 Solar flares can disrupt radio communications, including devices that use Global Positioning System technology, such as cell phones, airplanes and car navigation systems. So if you're relying on your GPS for driving directions, to find your location on your phone's mapping tool or for any other purpose, have a backup navigation system handy, such as a printed map. Even more important, pay close attention to where you are and where you're going. Don't rely solely on your GPS to give you directions. In 2006, research from Cornell University proved that solar flares can cause GPS devices to lose signal. This can cause these devices to temporarily misrepresent your location or otherwise malfunction. "If you're driving to the beach using your car's navigation system, you'll be OK. If you're on a commercial airplane in zero visibility weather, maybe not," said Paul Kintner Jr., head of Cornell's GPS Laboratory. In fact, the Cornell researchers warned in 2006 that 2011 would probably see lots of GPS disruption. In addition, solar flares can disrupt power systems. This week, National Geographic reported: "Under the right conditions, solar storms can create extra electrical currents in Earth's magnetosphere -- the region around the planet controlled by our magnetic field. The electrical power grid is particularly vulnerable to these extra currents, which can infiltrate high-voltage transmission lines, causing transformers to overheat and possibly burn out." Across the nation, electric utilities and grid operators are preparing to respond to such problems. On a scale of one to five, he likened this week's flare to "probably a two or three." This week's flare (called a "coronal mass ejection") registered M9.3 on the "Richter scale of flares," about the highest level in the "medium" category. Larger flares that fall into the "X" category can cause global radio blackouts, but large M-class flares also can cause radio disruptions. This is one of a series of recent bouts of severe space weather, as the solar cycle approaches solar maximum in 2013. Other major flares came in February and June, and more may follow. A good place to follow solar activity is SpaceWeather.com. In the meantime, keep those maps handy.